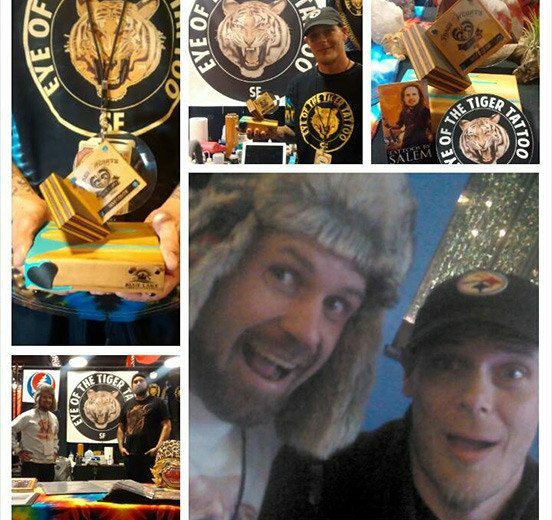 The Inked Hearts Tattoo Convention in Blue Lake, Humboldt County, was a huge success. 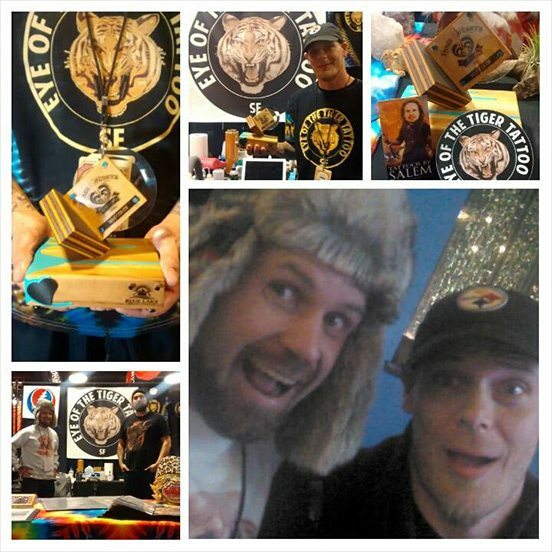 Not only did we get to spend the weekend (February 5th to the 8th) with tattoo friends from all over the country, and not only did we get to do some sick tattoos on clients old and new, but Salem also took home the award for best color tattoo. 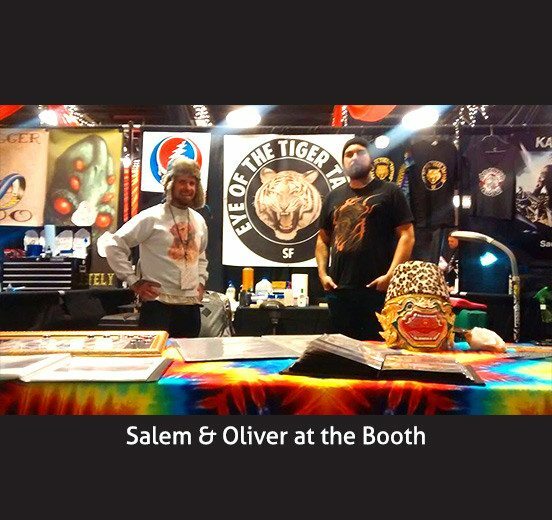 Old friends from Grateful Dead tour, Salem has been tattooing his friend Anthony Crisanti for many years. 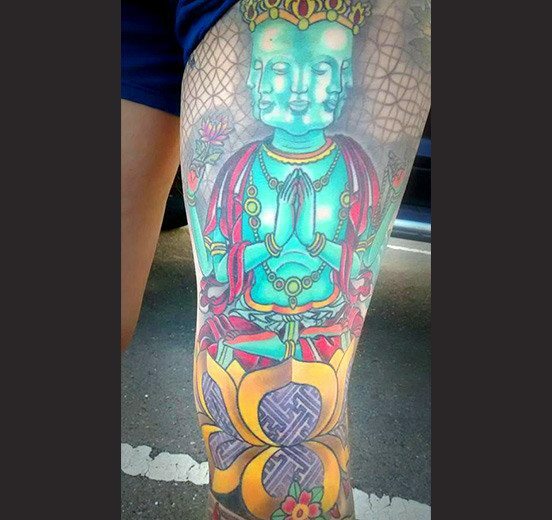 Not too long ago they sat and decided to work on a multi faced Japanese Bodhisattva tattoo, on Anthony’s leg. The colors are bright and even, and the line work is super clean. We’re glad that 2nd it was recognized by the judges. Salem was visibly stoked to have his named called, even though he tried to play it cool when the judges presented him with the trophy for best color tattoo.